Same year as the previous two soundtracks, but a change of pace. Madan Mohan is actually responsible for one my favourite scores, containing Lata Mangeshkar's most amazing song... I'll be posting that at a later date. Lata's contribution to 'Sahib Bahadur' is top notch as well though; beautiful and trippy, highlight of the album. 'Yeh Pyar Ka Nasha' is also good; mid-tempo pop with synthy breaks. Elsewhere it's patchy; there are some nice details here and there (the out-of-the-blue rock'n'roll moment at the end of 'Tauba Tauba Tabahi Tabahi', the quirky Dixieland bit in 'Raat Ko Aaiyega') and 'Rahi Tha Main Awara' is pleasant enough, but nothing too exciting. I see ( http://www.movietalkies.com/movies/index.asp?MovieId=11132 ) that this was not one of Dev Anand's self-penned flicks, but rather Chetan Anand. Still, all in the Anand family. Dev Anand obvious has some kind of image of himself as a do-it-all auteur: Director, writer, star. Do you think he comes off as rather a snob, or just a bit too full of himself, or at least too judgemental of subject matter? I certainly do. Ha ha---litlgrey you should read his autobiography! Right - that's my number one exposure to Dev Anand as well. More than the way he plays his super-righteous character in "Hare Rama Hare Krishna" is the narration he does over the montage at the beginning of the film - an overt social critique very much in a Jean-Luc Godard vein, except anti-Hippie as opposed to anti-Establishment. If anything, Anand seems very, very, very, very PRO-Establishment. No wonder his star was soon eclipsed by actors like Amitabh Bachchan. "actually responsible for one my favourite scores, containing Lata Mangeshkar's most amazing song... I'll be posting that at a later date." Most of Madan Mohan are semi-classical or Ghazals. Usually not your cup of tea. If you have Dastak (1970), please u/l. EP of Des Pardes, Vishwanath coming - Lovelyyyyyyyyyyy!!!!!!!!! 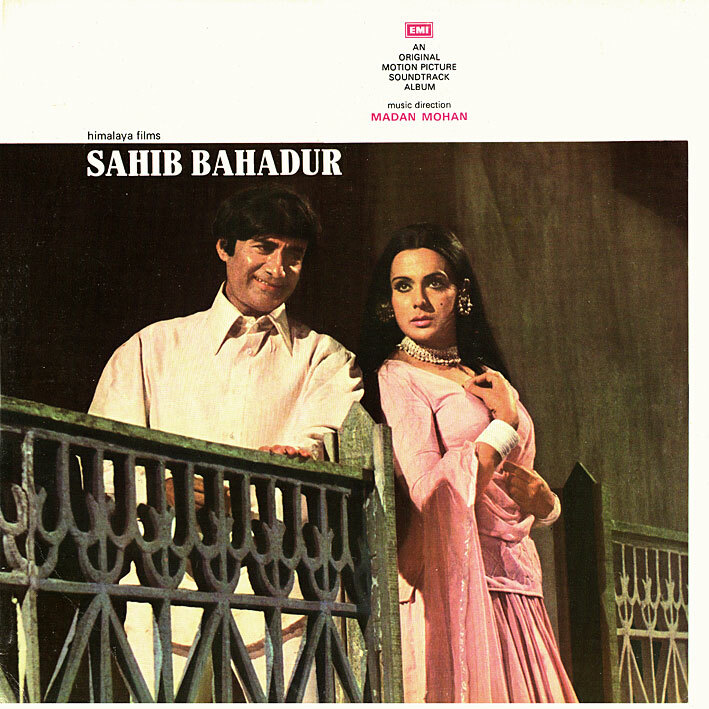 I wish you had the LP of Des Pardes - all the songs, the compostion,the singing was just out of this world! Single Malt in the world of ordinary whiskeys!! Thanks for posting an album by Madan Mohan!! !